Twice a year, we ask the British public about every aspect of their cooking and eating habits. From diets and cuisines to entertaining and shopping, take a look at our latest report that shows what is changing in the world of food and drink. There are plenty of stories in the media about how more of us are becoming vegan, which new cuisines are on the rise and the sorts of shops we visit – but we’ve got the stats that separate speculation from hard truths. In brief, it’s clear that the plant-based revolution is showing no signs of stopping. As a nation, we’re buying less red meat than we were a year ago, and over half of Committed Foodies are trying to follow a more plant-based diet. When it comes to dairy or gluten-free diets things get a little more complicated, as over a third of Committed Foodies are trying to cut down on both yet the vast majority consider dairy and gluten to be part of a balanced diet. This shows that while the number of strict vegetarians and vegans remains small, lots of Committed Foodies are seeking to eat more vegetarian and vegan products and dishes. Processed foods are on the decline too, with 77% of Committed Foodies avoiding them (a 12% increase from 2018). To get a deeper understanding of our research be sure to download the white paper at the end of this article, which contains the highlights of our research and is full of statistics, trends, facts and figures that show how attitudes to food and drink are changing in the UK. You can also watch the recording of the webinar we hosted on 1 February 2019, which expands on the highlights of our report below. When it comes to deciding which recipes to cook, we tend to change our preferences depending on whether it’s a weekday or the weekend. 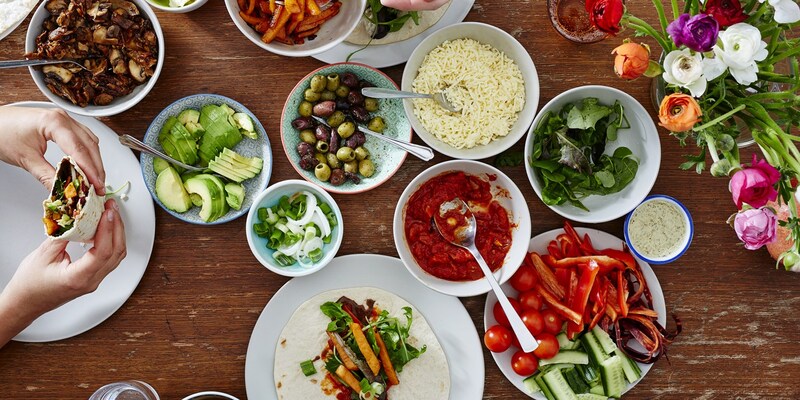 Generally, however, around half of Non-Foodies seek out quick and easy recipes, whereas Committed Foodies prioritise health and flavour when planning menus. Whilst almost 53% of Brits do cook international cuisines regularly, there is a large cohort that doesn’t. Chinese and Indian top the charts across the UK, but for foodies there is a clear desire to look beyond the more established cuisines. You just have to take a look in our store cupboards for proof – 12% of people in the UK have oyster sauce in their pantries and 38% have egg noodles, confirming that Asian cuisines in particular are proving popular across the board. At the weekend, Committed Foodies and Weekend Foodies look to impress others and seek excitement in their cooking. This is especially true when foodies are entertaining (something 96% of Committed Foodies enjoy doing, compared to 43% of Non-Foodies). This is despite the traditional dinner party being on the decline, making way for more informal get-togethers based around dishes and cuisines that are shared at the table. Entertaining isn’t without its downsides, however; 10% of Brits find cooking for others makes them anxious (rising to 21% amongst Committed Foodies). While alcohol consumption is on the decline – 21% of Committed Foodies and 24% of Non-Foodies don’t drink at all – the majority of us still indulge in the huge variety of alcoholic beverages on offer. And while wine and beer remain ever-popular, making cocktails at home appears to be on the rise: 40% of Committed Foodies whip out their shakers and strainers to regularly rustle up a round of drinks at home (although these tend to be simple drinks such as gin and tonic rather than more complex cocktails). Committed Foodies also over-index on drinks such as Prosecco and gin, whereas Non-Foodies tend to drink more cider and beer. Want to know more about the culinary landscape of the UK in 2019? Fill out the form below and get access to our full report. 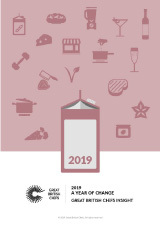 Download our in-depth report into understanding Britain's love affair with food in 2019 and how things are changing. Find out about the similarities, differences and best ways for brands to communicate with the three consumer segments: Committed Foodie, Weekend Foodie and Non-Foodie.